Revelations is the Assassin’s Creed series’ fourth iteration in just five years. Making the franchise as regular a part of the Christmas release schedule as Call of Duty and FIFA, as well as meaning that the storyline has become convoluted in record time - Revelations is no place to jump into the series. 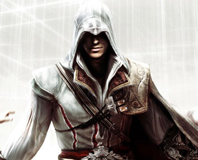 The story picks up right where Brotherhood left off, with modern-day protagonist Desmond now trapped in the Animus, having to experience the memories of a middle-aged Ezio to stop the destruction of mankind by the Knights Templar in 2012. Newcomers to the series are given the briefest of catch-ups, but for a story as convoluted as Assassin’s Creed’s anyone who hasn’t played the last three games will be left scratching their heads. In fact, we’d be surprised if those who have followed the series even really know what’s going on. 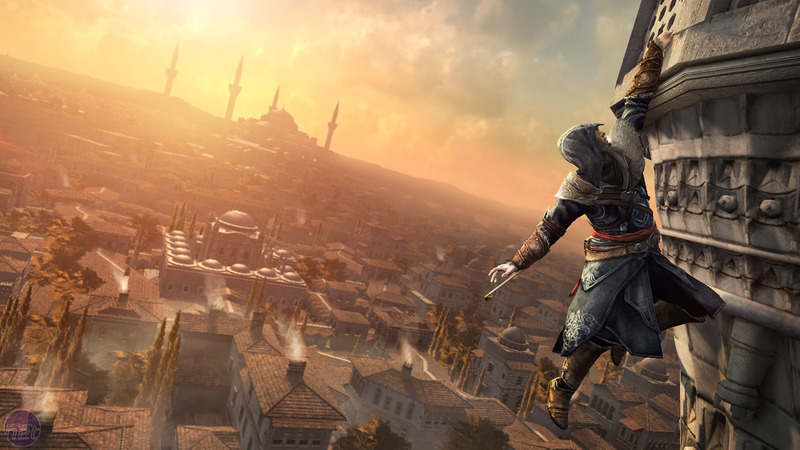 All anyone should really care about, though, is the chance to go running across the rooftops of Constantinople in 1511 AD, searching for keys to open Altair's vault. Inside is this game’s MacGuffin; it doesn’t really matter what it is, all you need to know is that it’s powerful and vitally important. 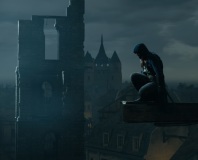 Revelations starts dramatically with a long ascent up a huge tower, introducing players to the free-running/climbing mechanics that, along with the pseudo-science and historical gibberish, define the series. While there’s definitely fun to be had in scaling such an imposing structure, the amount of actual player input is minimal; climbing, as always, boils down to holding down two buttons and roughly steering Ezio. Fans of the games may just think we’re doing it wrong, but in our opinion climbing has always been one of the weakest aspects of the franchise. It wouldn’t be so bad if Revelations embraced this lack of freedom in the same way as Uncharted, where it’s near-impossible to die but the game is still packed with exciting set-pieces. Instead, Revelations occupies a middle ground where paths are mostly pre-set and you're left with no real agency, then suddenly the rails are taken away without warning and you're not sure where to go. This problem has plagued the series since the first game, and it’s a shame it’s not been resolved in Revelations. 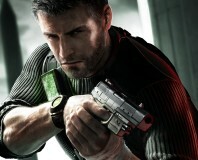 One area in which the series has always excelled, however, is the graphics; Revelations is no exception. With the same Anvil engine from 2009’s Assassin’s Creed 2 in use, the wow-factor is not as high as two years ago, but the detail on Ezio’s flowing cloak and some new super-moody weather effects hint at subtle enhancements and greater artistry. A horse and cart chase sequence at the start of the game proves to be a particular highlight, showing off stunning water, particle and weather effects. Dynamic camera angles and clever use of lighting also add to the excitement, with only a few flickering shadows left to remind you that Assassin's Creed isn't as close to the cutting edge as it may pretend. Sections such as this chase sequence are great examples of how games can evoke a cinematic feel without relinquishing control from the player or resorting to QTEs. Starting off being dragged behind a cart you must pull yourself up a rope while avoiding hazards on the ground. Once up, you take control of a cart and start ramming your target to the sound of splintering wood and enemy protests. Not too subtle for an Assassin, but great fun. Ubisoft's latest historical hitman game is less of a coup-de-grace and more of a virtual faux-pas. Ubisoft appears to have silently disabled its controversial always-on DRM. 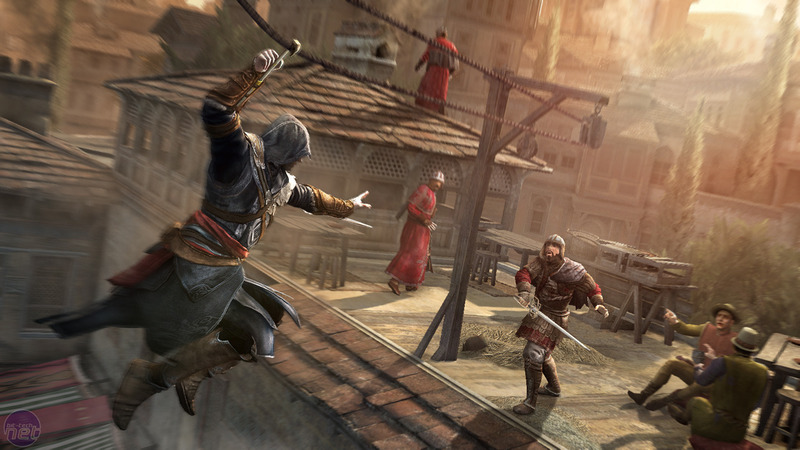 We take a free-running jump into the middle of Assassin's Creed 2 to see if the follow-up to Ubisoft's smash hit can be more than doing the same pickpocketing quests over and over. Is historical assassination fun this time around? We find out in our Assassin's Creed 2 review.